Exactly 80 years ago, on 11. February 1939, the nuclear physicist Lise Meitner and her nephew Otto Frisch delivered the first physico-theoretical explanation of nuclear fission in an article for the Nature magazine. Only a few weeks before, in January of the same year, Otto Hahn, Nobel Laureate in Chemistry 1944 , had published a treatise about his scientific experiments on nuclear fission. Science communicator Judith Reichel looks back on the events in 1939 that marked the beginning of the nuclear age. 80 years is a long time. It is roughly the expected lifespan of a newborn child in western Europe today. Thus, an entire life could have taken place between a milestone of physics and its 80th anniversary this year. One lifetime ago, there were no cell phones, no AI algorithms – no one even knew what DNA was. Instead, something else was observed for the first time and was immortalised in a sequence of seminal scientific articles: nuclear fission. 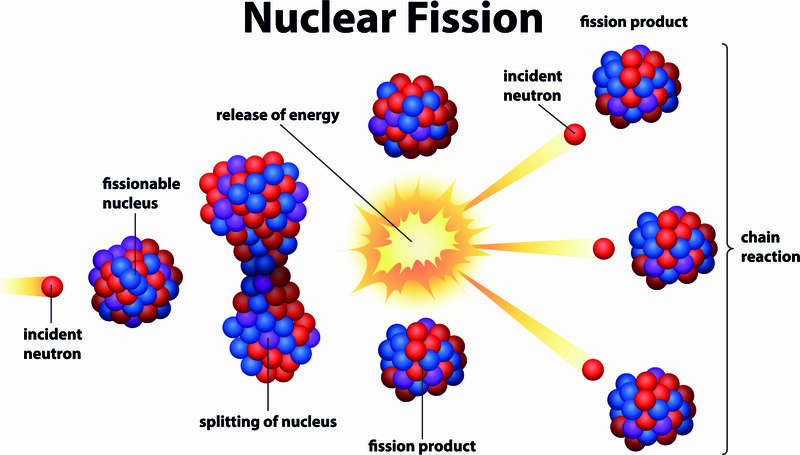 Nuclear fission describes a process during which the nucleus of an atom splits into smaller parts. It was discovered at the Kaiser Wilhelm Institute for Chemistry in Berlin in December 1938 and proven in January 1939 in Stockholm. This process releases vast amounts of energy and is the underlying physical and chemical mechanism that drives the explosive power of nuclear weapons as well as the controlled release of energy in nuclear reactors. As we now know, nuclear fission can be induced externally via a nuclear reaction or can occur naturally as part of a radioactive decay process. The German chemist Otto Hahn is often viewed as the ‘godfather of nuclear fission’ who discovered the process in 1938 and published his observations in early 1939. Hence, in 1944 he was awarded the Nobel Prize in Chemistry “for his discovery of the fission of heavy nuclei”. 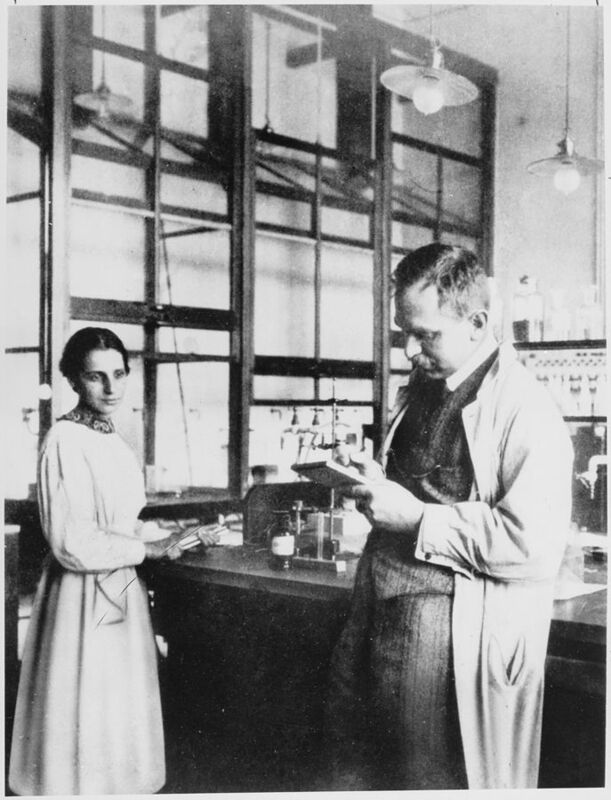 Lise Meitner and Otto Hahn in the laboratory of the Kaiser Wilhelm Society for the Advancement of Science in Berlin, 1913. Alas, he was not working alone. One of his main contributors, although famously neglected regarding the Nobel accolades, was Lise Meitner. The two met in Berlin where the Vienna-born Meitner was the first woman allowed to study under Max Planck. She and Hahn worked together at the Kaiser Wilhelm Society, the predecessor of todays Max Planck Society, for over 20 years. In fact, in the beginning, Meitner was working as an unpaid guest in Hahn’s research group, before she became the first full female physics professor in Germany in 1926. 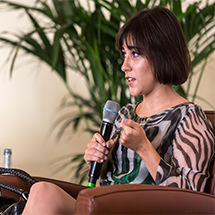 She herself often referred to her time in Berlin as her most scientifically fruitful and fun years. However, due to her Jewish heritage she was forced to flee Hitler-Germany and in 1938 moved to Sweden. 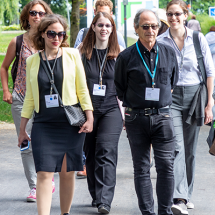 Rounding out the German-based nuclear fission research team were Otto Robert Frisch, the nephew of Lise Meitner, as well as Fritz Strassmann, a former pupil and later assistant of Hahn. Their work was based on the findings of the Italian physics wunderkind Enrico Fermi. He received the Nobel Prize in Physics for his work regarding induced radioactivity in 1938 – at the age of only 37. Fermi used the subsequent award ceremony to emigrate to the US where he would later be involved in the Manhattan Project and ultimately the development of the first atomic bomb. But let’s return to the work of Hahn, Meitner and Co. As the story goes – and as it is documented by a letter exchange between Hahn in Berlin and Meitner in her exile in Stockholm in late 1938 and early 1939 – Hahn and Strassmann had been bombarding uranium with neutrons and were puzzled by their results. Back then, uranium was the heaviest element known and the scientists expected and hoped that by blasting it with neutrons they would generate even heavier, so-called transuranium elements. However, the resulting particles where lighter than uranium and baffled both Strassmann and Hahn. On December 17th 1938 the two finally managed to identify that what resulted was not a transuranium element, but in fact barium – an element about half the size of uranium. Still confused as to what these results meant, Hahn wrote Meitner, describing their unexpected results, asking if she had an explanation for it. Almost simultaneously to the letter to Meitner, Hahn and Strassmann also authored a paper about their findings for the journal “Die Naturwissenschaften”, which was published in January 1939 – less than a month after their experiments. Due to their previous and exclusive correspondence with Hahn, Meitner and Frisch had a head-start in finding an explanation for the observed effects by their Berlin colleagues and devised a theory over Christmas of 1938 which they subsequently tested in their lab. They based their approach on the newly established “liquid-drop-model” of the nucleus. This model states that the core of an atom is stable because the force of attraction between protons and neutrons is larger than the repelling forces among protons. However, the heavier the elements, the weaker the stabilising forces become. 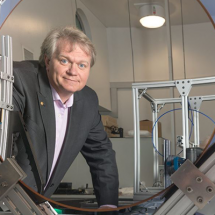 Thus, if a heavy element such as uranium is blasted with neutrons and one of them enters the core, the fragile balance is disrupted and the core breaks apart, releasing massive amounts of energy (as well as neutrons) in the process. According to this explanation, the uranium should break apart into two highly energetic atom cores. Such energetic cores in turn should ionise their surrounding air: this ionisation was proven by Meitner and Frisch. They published their physics-based explanation of the nuclear fission of uranium in a Nature paper on February 11th 1939. In March of that year Meitner and Frisch published another Nature paper detailing the nuclei of the elements that are produced by “(…) the fission of the Uranium Nucleus”. Although their work in Sweden was paramount to understand and explain the results observed by Hahn and Strassmann, and although even before being instrumental in defining the appropriate experimental conditions to split the uranium core, neither Meitner nor Frisch were got a share in Hahns Nobel Prize. The discovery of nuclear fission was no easy feat and it came at a high cost. Nowadays, nuclear energy is often viewed with skepticism and even fear. The main danger is an uncontrolled chain reaction: As stated above, the fission not only releases energy but also neutrons. If not just one uranium atom is blasted with neutrons, but rather one atom in a pile of uranium is split, the resulting neutrons will induce a massive chain reaction. In a nuclear reactor this reaction is kept to a stable minimum while an atomic bomb utilises this massive potential for its devastating explosive power. However, when Hahn, Meitner and Co. set out to illuminate the underlying mechanisms of nuclear fission, they did not envision Hiroshima or Chernobyl, they merely wanted to understand. Otto Hahn himself was very vocal about his disapproval of using his discovery as a weapon. He belonged to the 18 Nobel Laureates who initially signed The Mainau Declaration 1955 on Nuclear Weapons. 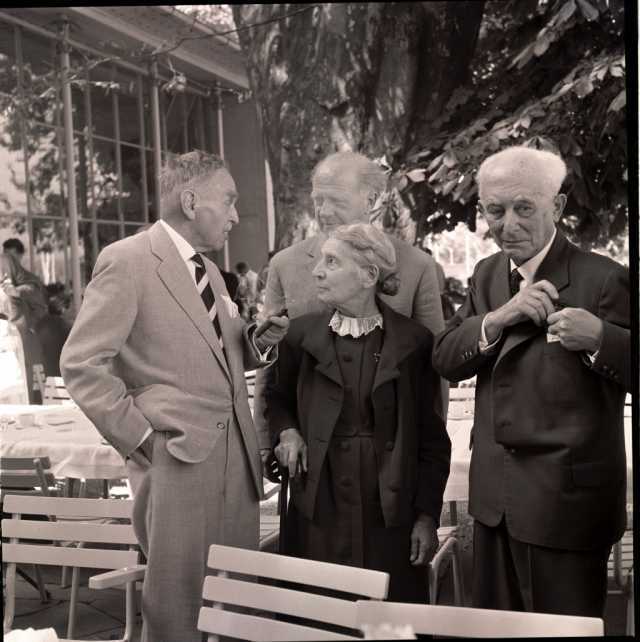 As for Lise Meitner, her story did have a somewhat conciliatory ending: Although she was never officially awarded the Nobel Prize, in 1962 she was invited to join the annual Nobel Laureate Meetings at Lake Constance, which she attended alongside Otto Hahn. In a lecture at the Lindau Meeting in 1952, Otto Hahn looked back on the events in 1939 and told the audience how the development of radiochemistry led to the splitting of the uranium nucleus. Listen to the historical lecture in our Mediatheque. Check out also our recent Topic Cluster on “Radioactivity and X-Rays” for further information.